VERO BEACH – The Humane Society of Vero Beach and Indian River County (HSVBIRC) is presenting a series of exciting summer children’s programs during June and July. Designed for animal lovers, The Humane Society’s half-day courses include the popular “Veterinary Basics.” This program takes children behind the scenes to visit the shelter’s clinic and teaches students how to perform a basic animal exam, listen to an animal’s heart and lungs through a stethoscope and use a microscope. At the end of the class, children learn about the problem of pet overpopulation and then work together in “surgical teams” to perform a mock spay surgery on a stuffed animal. The shelter also offers half-day classes in dog care and training, cat care, animal photography and pet first aid and CPR. Three classes are available to students ages 12+ Veterinary Basics on July 17, Dog Care and Training on July 18 and Pet First Aid and CPR on July 19. 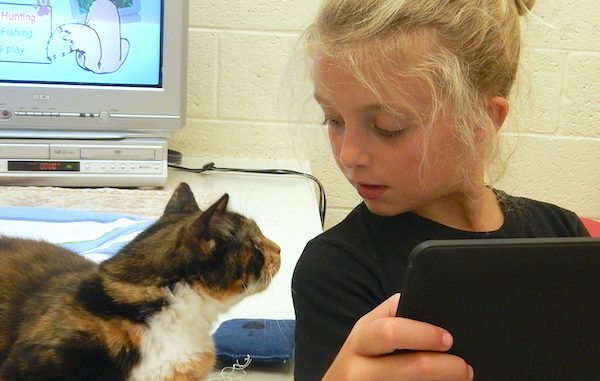 Children who enjoy shows like Animal Cops will enjoy the shelter’s Junior Humane Officer program. Attendees can practice fundamental pet care, become familiar with some of our community’s basic animal laws and see how the Director of Animal Protection helps animals using specialized equipment. Most importantly, children will learn what they can do if they suspect an animal isn’t being cared for properly. Each child receives a certificate of accomplishment and special embossed tag certifying he or she is Junior Humane Officer graduate. The HSVBIRC’s children’s summer programs run from 9:00 a.m.-noon and will be offered June 19-23, repeating again on June 26-June 30 and July 10-14. Children’s Pet First Aid and CPR will be offered only once on Wednesday, July 19. Programs cost $30-$35 per day and include all instruction, materials, snack and either a craft or take-home keepsake related to animals. For more information about our children’s classes or to register by phone please visit the shelter’s online calendar or call our Education Department at (772) 571-6418.